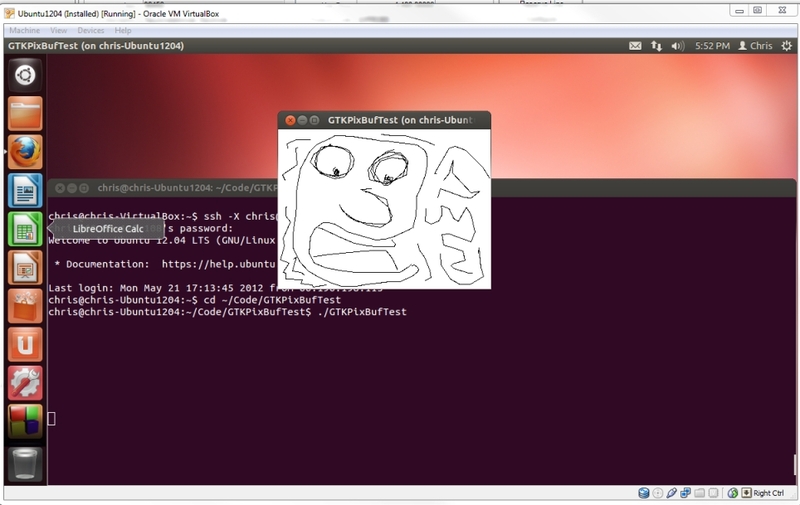 Running a GTK+ program through ssh with X forwarding (simply displaying a quickly drawn .png file). This ssh session is being run inside Ubuntu which is being run in a Virtualbox session hosted by Windows 7. The files are IN the computer? One program being run – two physical machines and one virtual machine are involved.